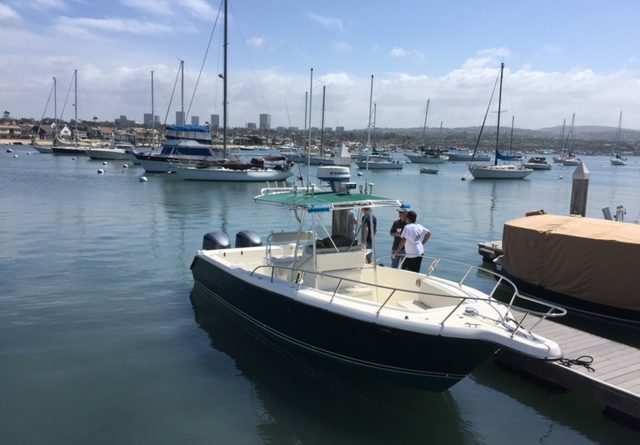 NEWPORT BEACH — A game of musical chairs will be played at the next Newport Beach Harbor Commission meeting, as the city’s maritime-themed advisory board will welcome a new appointee to the dais. Donald Yahn joins the Harbor Commission after his appointment was approved by the Newport Beach City Council, June 26. Yahn is the fourth appointee to fill a vacancy since 2014. Duncan McIntosh completed his second four-year term as commissioner. Also returning to the Harbor Commission are Ira Beer and William Kenney. All three appointments were unanimously selected by the City Council. Clark Cashion and Somer Harding were also candidates for the Harbor Commission vacancies, but neither of them received any votes. All three appointees will assume their new terms at their next meeting, which is scheduled for July 11. Kenney most recently served as the commission’s chair; he just completed his first four-year term on the dais. Beer, meanwhile, was only on the commission for one year. He was appointed on June 27, 2017 to complete the remainder of Doug West’s term as commissioner. Yahn, meanwhile, fills McIntosh’s seat. The 49-year Newport Beach resident has served as executive director of commercial real estate at Cushman and Wakefield since 1991. His public profile on the Cushman and Wakefield website states his primary interests are yachting and watersports. His boat, Magnanimous, won “Best Music” at the 2016 Newport Beach Christmas Boat Parade. City Council member Brad Avery and Joe Stapleton were the most recent Harbor Commission appointees to depart the advisory board; the other recent departure was West. Commissioners Scott Cunningham, John Drayton and Beer were the three most recent appointments to the board. Drayton is the next commissioner to be up for consideration, with his two-year term set to expire June 30, 2019. Commissioner Paul Blank’s four-year term will expire on June 30, 2020. Newport Beach Mayor Marshall “Duffy” Duffield had also served on the city’s Harbor Commission prior to his City Council election in 2014. The commission will select its new leadership, July 11. Those elected to chair, vice chair and secretary would serve one-year terms.